Take your carrycot straight from boulevard to bedroom with the Uppababy Carrycot Stand. If you’ve been out and about with your baby and they’ve duly fallen asleep in their carrycot, there is no need to disturb them… simply place the carrycot on to the carrycot stand and let them to continue to sleep in peace. 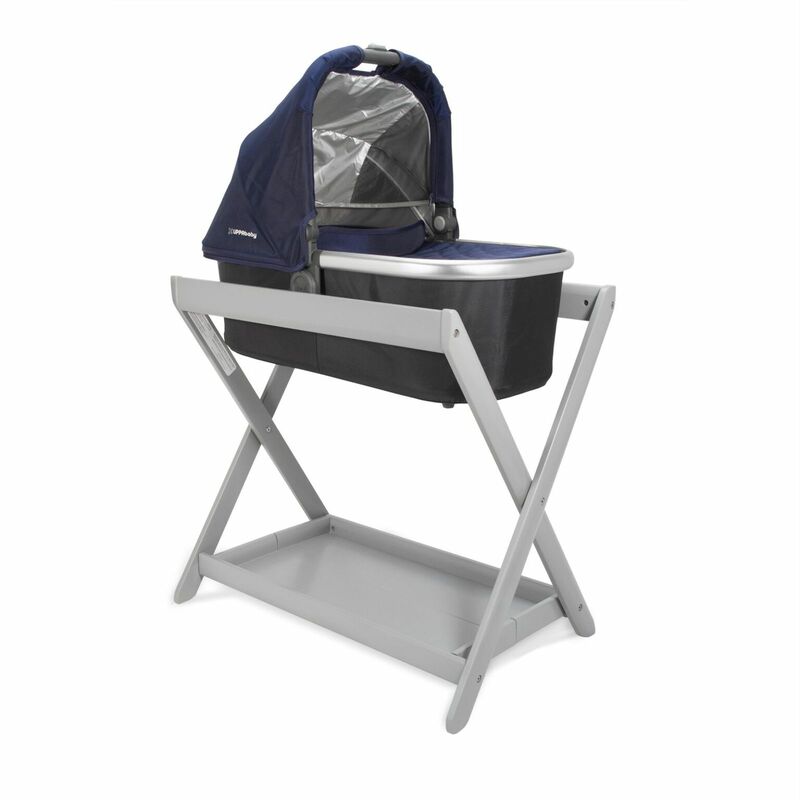 The stand keeps the carrycot up and off the floor, placing it at an ideal height for parents. The carrycot ‘snaps in’ just like it does on your stroller, keeping it safe and secure. 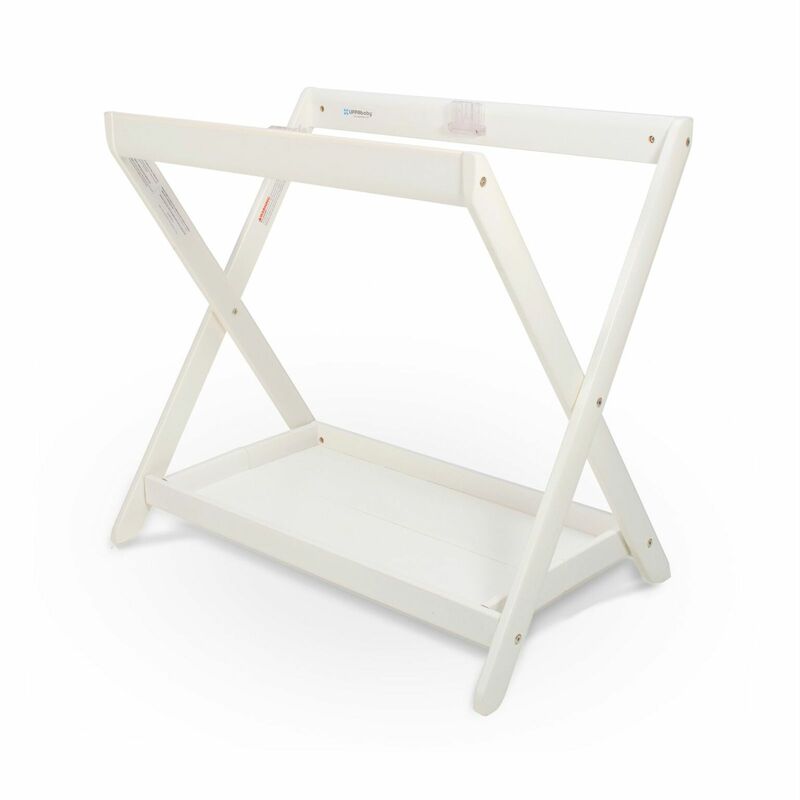 The convenient large tray located at the bottom of the stand is perfect for baby accessories such as nappies, creams, powders, toys and extra bedding and the stand folds aways to a compact and easily manageable size when not in use. Extend the lifespan of the stand by adding the Laundry Hamper Inserts (sold separately) in order to transform it into a laundry basket. Fits UPPAbaby Carry Cot, 2015 VISTA Carry Cot, and CRUZ Carry Cot (not included). Does not fit VISTA carry cot model year 2014 and earlier.